Together with the company MMV leasing Mintellity offers interesting leasing packages for your software projects. If you are interested, don´t hesitate to contact us! 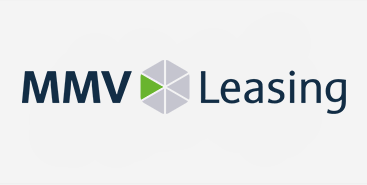 Concluding a leasing contract with MMV maintains your liquidity. Furthermore, the credit exposure of your home bank will not be charged with the leasing contracts and securities given by the bank remain untouched. This guarantees you the highest flexibility for your daily business. Our offer includes the MMV-innovation-leasing-option. Your advantage is that you can flexibly change singular leasing items during the whole contract period. This enables you to stay up to date in terms of technology while costs remain the same. All services that arise before completely installing the system can be integrated entirely and without restrictions into the leasing contract. Thus, within a project, no additional positions will arise that have to be paid and your processing expense will be reduced considerably. The processes of Mintellity GmbH and MMV are perfectly coordinated. During the whole phase of the project´s implementation you will have a contact person of the MMV company who will be at your disposal in terms of any questions concerning your contract, if necessary also personally on-site. Transparency - keep the overview! MMV Leasing does not charge any processing fees or other costs. In terms of project business with flexible partial payments, only the interests will be invoiced precise to the day. From the beginning of the leasing contract you will then pay the fixed montly lease payments over the agreed contract term. This will constitute a clear and transparent calculation basis for the overall project for you. You are interested? Just contact us via phone or mail and we can work on your optimal leasing concept.